• IR35 is coming to the private sector in exactly a year’s time. We give you the quick run-down on how to start preparing – today! 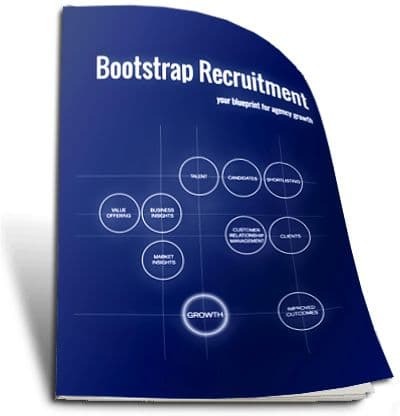 • Identity checks waste more of a recruiter’s time than any other task. What can be done to reduce the workload? And should we really be critical of a task that many employers see as a genuine value of the service? There is exactly one year to go until the government’s rules for off-payroll workers come into force in the private sector. 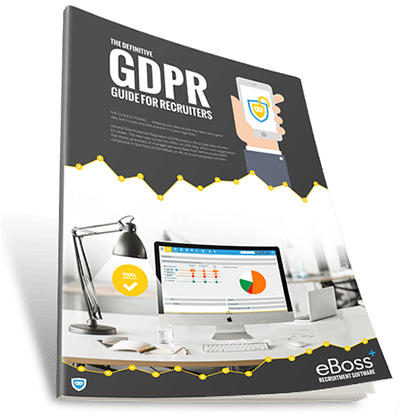 Experts are advising recruiters to act now, to avoid a scramble for compliance, come April 2020. April 6th, 2020: mark it in your calendars. That is the date when IR35 tax rules will be extended to cover off-payroll workers in the private sector. And, with almost exactly twelve months to go until that deadline, some payroll experts are predicting a shake-up of the workplace as dramatic as GDPR. But why will IR35 be such a change? New laws will make client businesses responsible for the tax deductions and National Insurance Contributions of their off-payroll staff. From 2020, off-payroll workers will be assumed to be employees of their clients in a larger number of cases than at present. The use of a Personal Service Company (PSC) to obfuscate or reduce tax liabilities will no longer be permitted in many instances. For many individuals and businesses, it is likely to mean an increase in tax exposure. However, it is currently unclear what measures should be put in place by recruiters or employers concerned about the risk. The government has continually promised to provide software for recruiters and their clients which would automate the assessment process. However, such a service has yet to materialise. An earlier version consistently provided incorrect or misleading tax advise to its users. 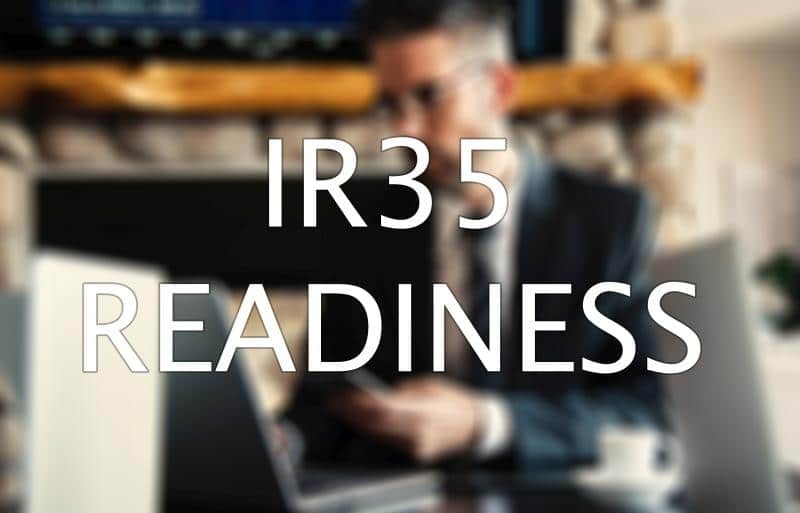 It means that, for now at least, IR35 compliance remains a waiting game for most enterprises. Some useful information can be gleaned from the present set-up, however. The reformed rules have been used across the public sector for a couple of years, now. Although the official consultation on the private sector rules does not officially end until May 28th of this year, several spokespeople have publicly advised that the private sector roll-out will closely match existing public sector rules. 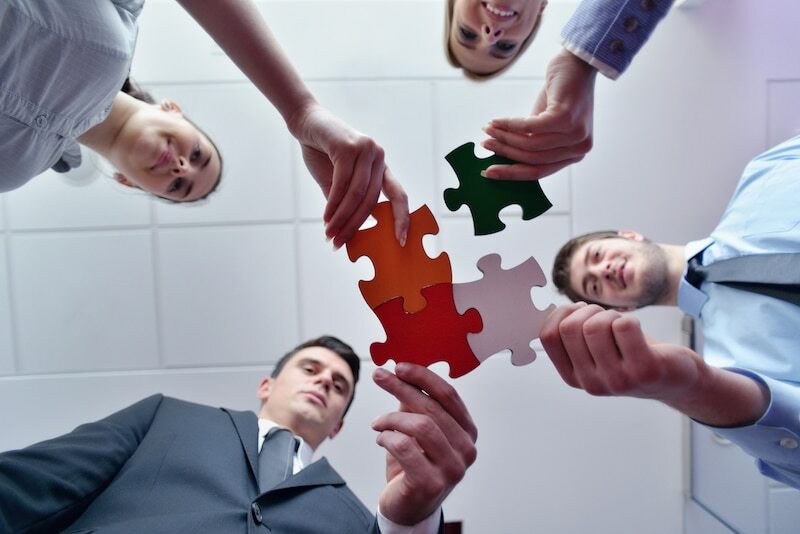 It is quite likely that ultimate responsibility stops with the client company. That means that, if you are a freelance worker, your clients will be the ones to determine whether you qualify as an employee, or a contractor. If you are a business, you will be expected to have this information reported on by the time new rules come into effect. Remember that a freelancer who provides their services via a PSC will, in most instances, qualify as an employee come 2020. Organisations will also be blocked from making “bulk qualifications”. That is: each off-payroll worker must have their case assessed individually. Businesses will also be expected to take responsibility for documenting their decisions, and informing service providers and end-contractors. The subject of penalty for non-compliance is where the changes start to get a little more complex. HMRC suggests that penalties for improper implementation of IR35 will fall with whichever body in the supply chain fails to comply. This is one area which could produce the most significant changes. Employment law experts warn that, the more complex a service supply chain, the greater the risk of non-compliance. This is often due to improper implementation of the new rules due to the complexity of the set-up, rather than through deliberate tax avoidance. 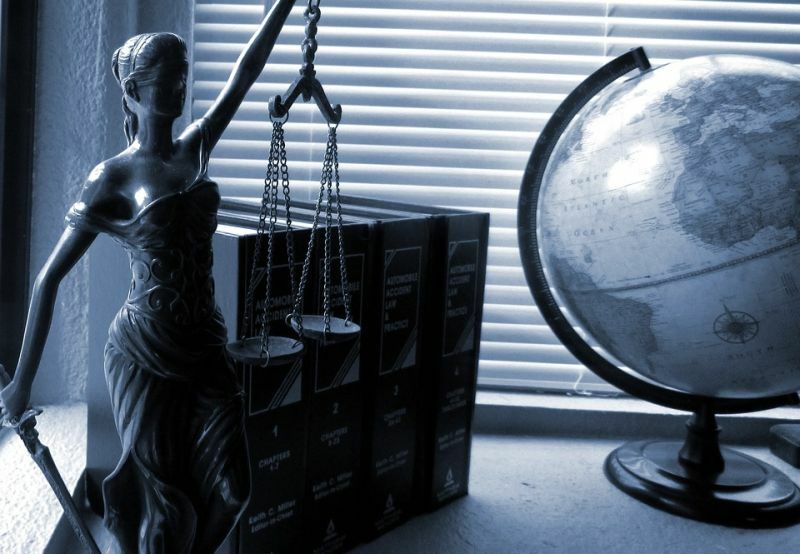 However, in these cases, client companies may still find themselves in line for the penalties. Experts suggest that this may see a gradual movement away from the PSC set-up which is often used today. 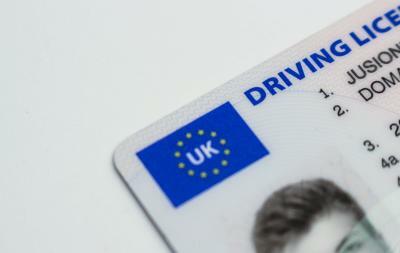 Whereas PSC function well under current laws, they will only complicate judgements under the new scheme. It may mean that contractors who offer services via a PSC may fall out of favour in the coming twelve months. The situation may sound complicated, but most issues will likely be resolved with careful planning. We have rounded up some top coping strategies to be put in place within the twelve months running up to the law change. The bulk of uncertainties and disagreements are expected to arise from the use of PSCs in service provision. So, it would be smart for client companies to appoint these off-payroll workers by using non-standard contracts. • The easiest way to do this? Have the PSC write up their own working terms, and attempt to agree to as much as possible; amending sections which may not be suitable. 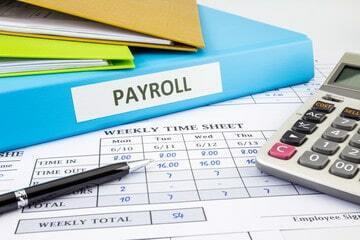 This way, your paperwork demonstrates that each off-payroll worker is appointed individually. None is working on a standardised agreement. • Secondly, these agreements ought to focus on the deliverables of a service, rather than the process or methodology used. Specific management or control over the way tasks are completed may cause contractors to be deemed employees. Contractors should also have their own equipment and insurance for each task. • A third tactic is to subtly amend the way you communicate with off-payroll workers. Clients are reminded to address the PSC organisation itself, rather than the individual end-contractor. This point may result in some overly-formal emails going out to familiar colleagues. But it will help to establish the full picture of the working relationship between the end-contractor, the PSC, and the client company. • Lastly, organisations are advised to assess which PSC workers ought to be considered employees. If a PSC is used to complete tasks which could be completed in-house, it may be difficult to establish the correct working relationship./ In these instances, clients may be advised to take on personnel as full-time workers instead. Right to Work checks: a Drain on Agency Resources? A new study finds that some recruiters are losing almost a fifth of their working life to stringent right to work laws. As a looming Brexit risks adding to the backlog of checks, can agencies find a smarter way to work? Do you ever get the feeling that your paperwork and office admin is keeping you from doing the really important parts of recruiting? If this is you, then you can take some comfort in knowing that you’re not alone. According to a recent survey by verification service Credas, recruiters could be losing up to 31 hours every month, completing background checks. This means that just under one fifth of a recruiter’s working life may now be spent verifying the identities of new candidates. The report crunches these numbers down further, to calculate what this workload is costing an agency each year. Using (some very broad) industry averages, the study states that agencies may be squandering £6,300 in wages a year on Right to Work checks alone. But why is Right To Work generating such high volumes of additional admin? The answer to this is also in the report data. 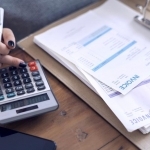 Credas found that an overwhelming 82 per cent of agencies are still running checks manually. At this point, it may not be too surprising to learn that Credas offers a commercial solution to automate reporting. But their study raises some valuable talking points. For instance, 41 per cent of agencies are still filing personal documents in paper folders. One in five (20 per cent) is using a spreadsheet. The first is an inherently insecure solution, which requires duplication and off-site storage to be truly robust. The second (spreadsheets) are unlikely to provide GDPR compliance. 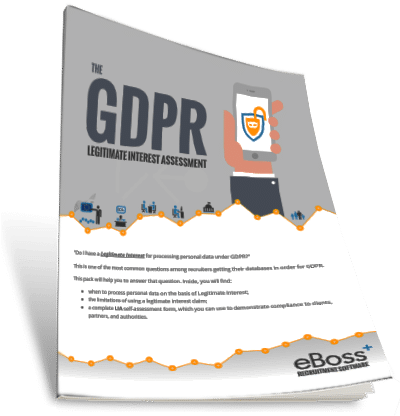 • Read: our GDPR Compliance Checklist. Now, this is not to say that Right to Work is a pointless burden. It is a vital part of the recruitment process. Employers may even consider the outsourcing of legal checks to be an area where recruiters add genuine value to the hiring experience. But it’s not really what recruiters signed up for, is it? With each hour spent on paperwork and office admin, that is another hour taken directly away from connecting and communicating. It’s an hour that may have been better spent reviewing a candidate database, or fine-tuning a shortlist one last time. It’s an interesting case study for us, because it overlaps with much of what we are doing here at eBoss. Although identity verification is not an area that we have worked to address, we do have direct and first-hand experience of other parts of the recruitment process: ones for which agencies have requested automated assistance. Smarter list building, is one. In-depth analytics and reporting is another. 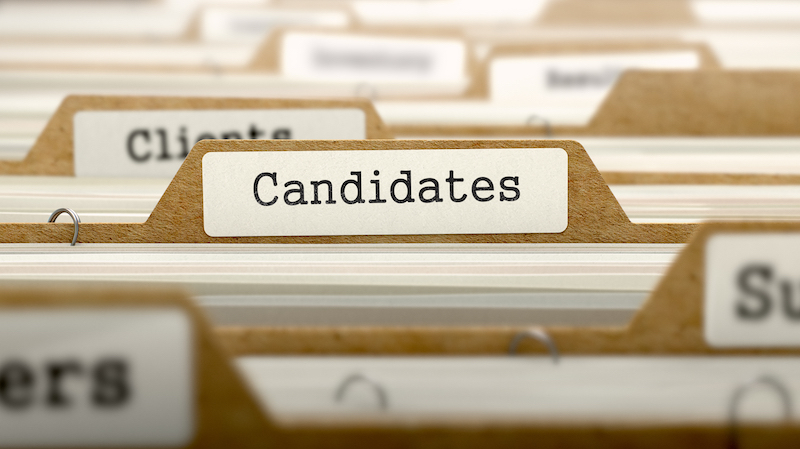 Deep searches into the candidate database were one of the first that we implemented. 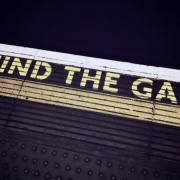 • Read: how recruitment software can free up your time to focus on the important tasks. 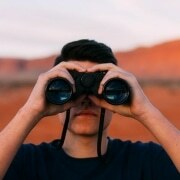 UK Recruitment: are you looking forward to the future?